We arrived around 2:30am and BGC was so alive with a lot of people and fast music! Some establishments were full of party people while on the other side of BGC, the runners were getting ready for the race. 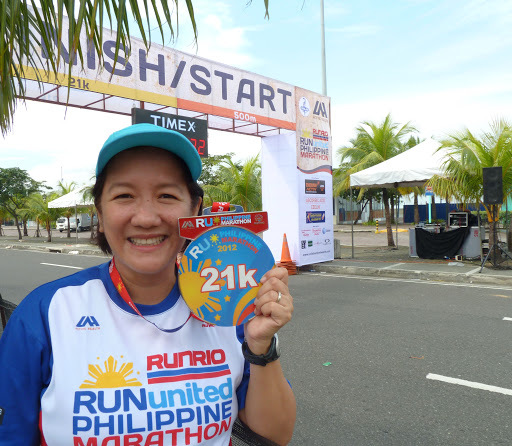 I was amazed to see a lot of 42K runners and I shook my head and wondered how they can look so calm while I, who was running a half was having pre-race anxiety. I felt feverish and my stomach hurt. My sisters told me to relax and breathe deeply. We watched the 42K runners start their race at 3am. The energy was contagious! I instantly imbibed the excitement in the air and my anxiety was replaced with eagerness. The familiar question “Are you READYYY? !” was asked just before the countdown. “Yes, I am!” At exactly 4am we were off. Yay! I actually liked the race route. 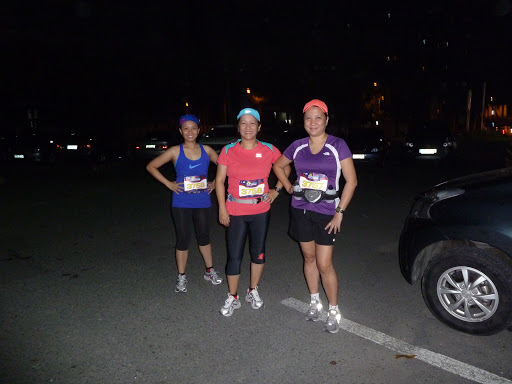 We ran from BGC to Buendia. But a portion of the Buendia flyover had no lights on and it was very dark. My sister tripped and hurt her knee and hands. 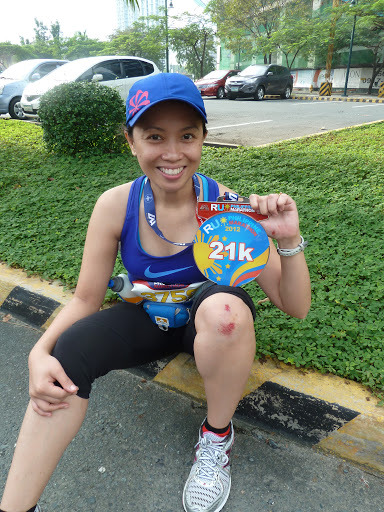 😦 Coach Rio, the medics from the first aid station said that she was the 5th runner to trip over that hole. I’m sure that was reported to you. Anyway, after Buendia we made a left on Roxas Boulevard. 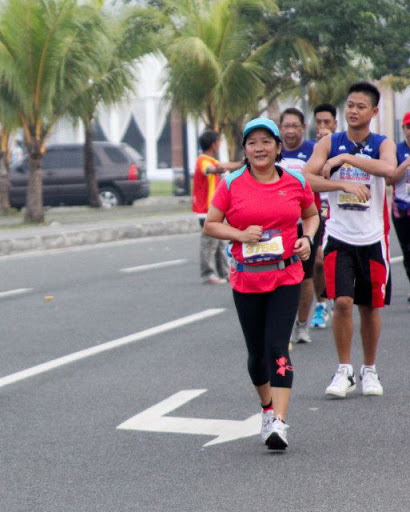 Ah, familiar route…I like running on Roxas Boulevard because it’s straight, flat, and there are lots of trees. We made a U-turn just before the EDSA fly-over then ran all the way to Rizal’s monument for the 2nd u-turn. 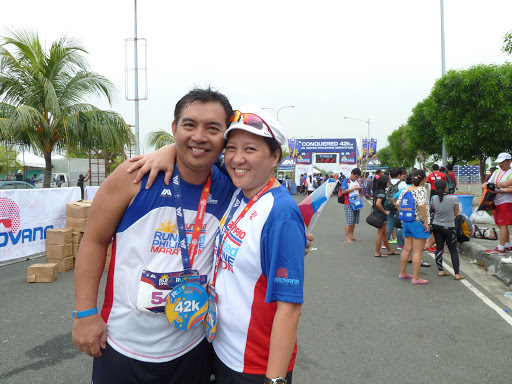 Then a right to CCP then left to Macapagal Boulevard and then another right all the way to MOA for the finish line. Oh the joy of crossing the finish line! And the medal! It was 6 inches in diameter! I confess: it was the medal that lured me into signing up for this race. Haha. My brother-in-law finished his 2nd marathon. Yay! Congratulations to all the finishers of RUPM!